The last time I was there, we mainly hung out around the park entrance, but this time we drove until the road ran out at Saua. Saua is considered the most sacred site in the Samoan islands as it is believed to be the birthplace of mankind. Saua was, of course, our first stop (as it is where the road ends). 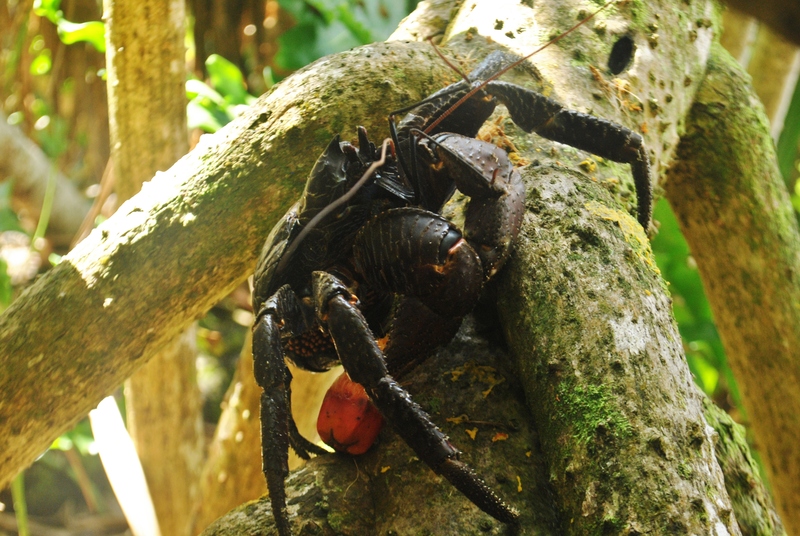 We emerged from the trees on a long stretch of untouched, rocky beach. There is supposedly still an ancient grinding stone at the Saua site, but in the excitement of being there I forgot to go look for it. 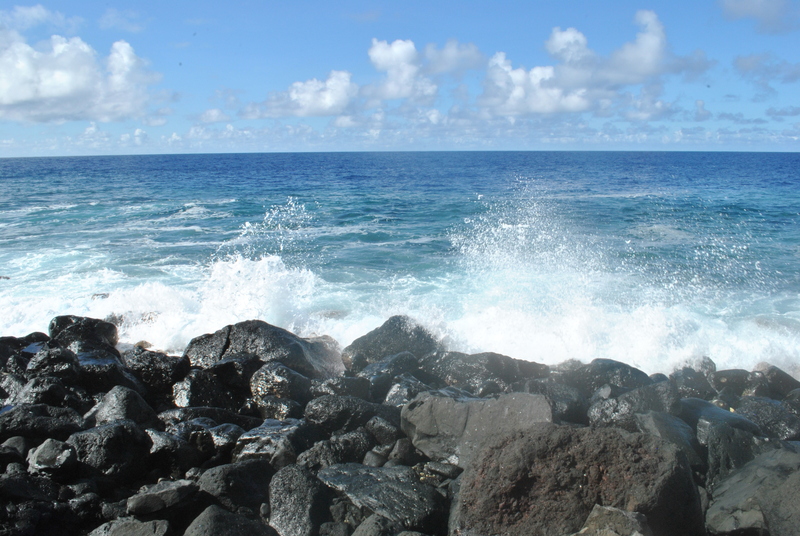 We continued our hike along a coastline that unfurled before us in a breathtaking display of black and grey lava rock. I was having a hard time trying to watch my step on the rocks while trying to never ever ever take my eyes off of all the awesomeness around me. But we made our sure-footed way across the lava rock path to our next destination. We continued on to a place I believe is called Lauma’a (the palm covered mound jutting out in the photo above), and then climbed some rocky steps into the lush paleo-tropical rain forest. After about half an hour of failing to adequately capture the park in photographs, I continued on the trail to the rest of the group. 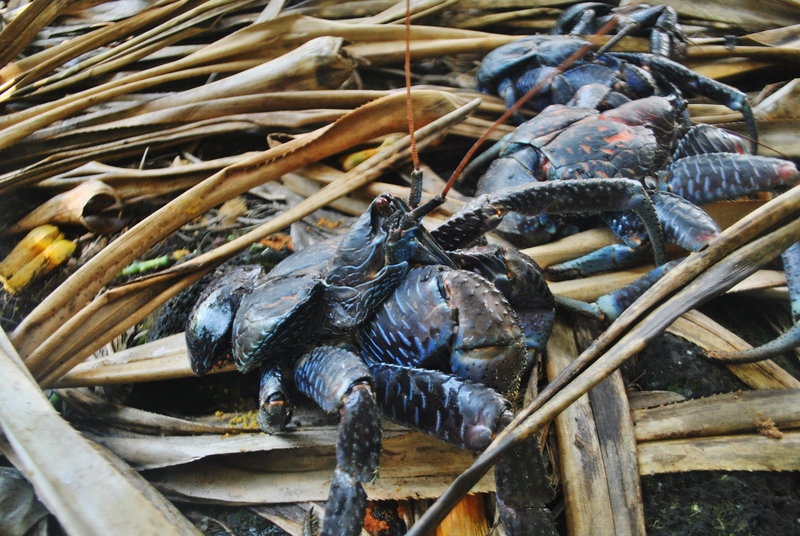 I found a few of them in a sea of pandanus leaves, searching for coconut crabs. Saunoa cracks a coconut for us. Star fruit. Not quite ready to eat. 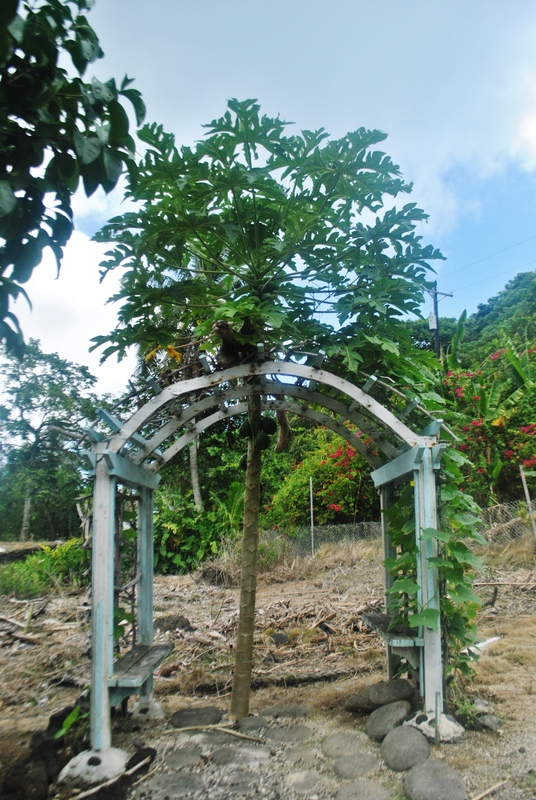 Gazebo built around a papaya tree and covered in cucumber. From there we all returned to Faleasao. The Beard spent much of the remainder of the day playing games with the other foreign teachers while I stayed back at the house to read, write, eat, and sleep the time away. We will probably be taking a break from hiking for a little while as the upcoming holidays will be keeping us pretty busy. I have been writing a lot lately about more complicated and personal things; I hope to clean those essays up a bit and post on here shortly. In the mean time, you may as well enjoy some more photos from our hike on Saturday. PS: I hope those of you who are reading from the northern hemisphere are enjoying your winter! hehehe. 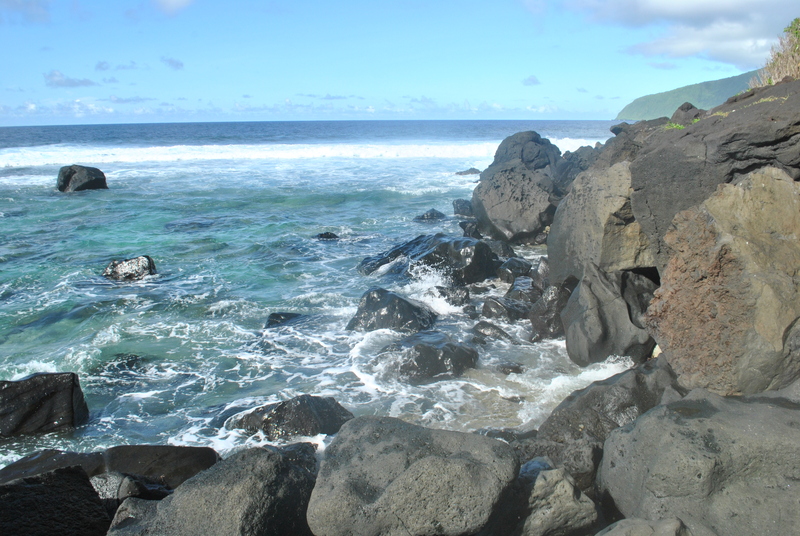 This entry was posted in American Samoa and tagged beach, day hike, hiking, myths, polynesia, Saua, travel. Bookmark the permalink.